The markers are very important for me to visualize what there is left to read. Without them I would read as if I had all day to read, but seeing them I know I am almost there and I continue until I reach my reading goal in a limited timeframe. I see the arrival point so I just keep reading without worrying of evaluating how much more I should read, I just read. 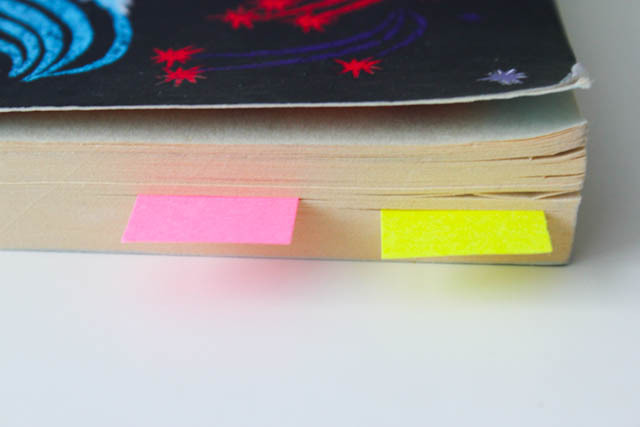 Then, when I arrive at the end marker, I reposition the start and end markers onto the next section I want to read, and the next time I grab my book to read, I know where I left off and what there is to process. Yes, I have just applied the divide and conquer technique. 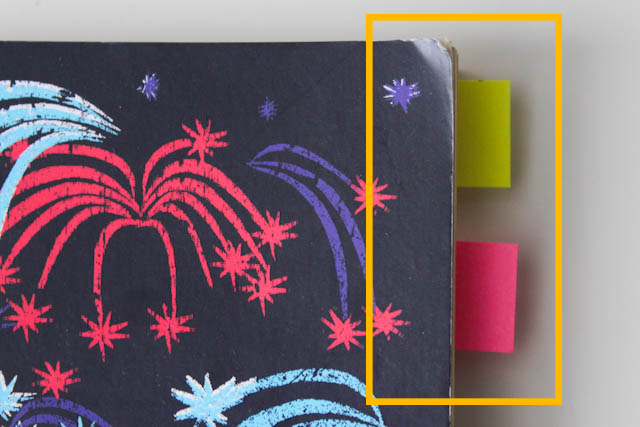 By dividing the book in small reachable reading goals, I advance little by little, until I reach the end goal : finish the book. With a paper based medium like the book, implementing such personal technique is very easy. Two pieces of paper, and it’s done. However when it comes to the digital medium, I hit a wall, I can’t apply my technique : they won’t let me. I have for some time now experienced reading on the digital medium : on the web, on the Kindle, on the phone, on the tablet. 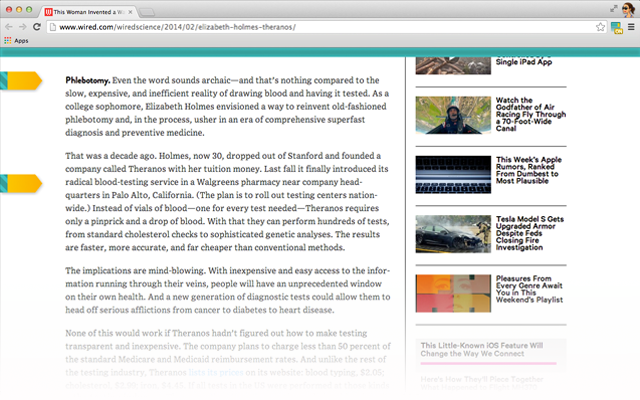 Every time, it’s very difficult to make the reading experience personal. By far though, the Kindle is the best approach to what a good reading experience should be. A lot of things can be improved in the way the UI of digital content meant to be read is done, however among those numerous things, I always notice a constant that is very poorly implemented. You will see what in a moment. – the location : “Location 2435” -> I never knew what that was supposed to mean, what information do I get from “I am at location 2435”? It makes my mind try to calculate, what is “2435 of 3169”? Then I just grossly evaluate, “Oh it just means I am far from the beginning”. I find this indicator really useless, I don’t know why they still keep it there. – the percentage : “76%” -> A lot clearer, but it still makes me calculate something. – the progress bar : -> Ah we are getting somewhere. Just this progress bar should be enough. No calculation, just visualization, we can just focus on reading then. 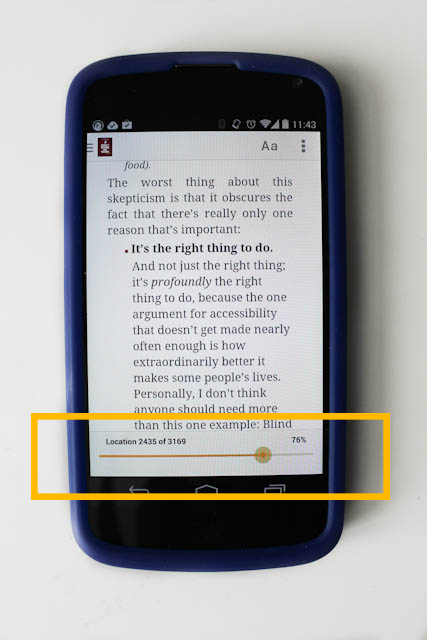 The iPad Kindle uses even a fourth indicator : time measurement. But it hardly helps me, if I’m not focused it’s going to take me ages to read anyway. Strangely, the progress bar (the most intuitive indicator ever) arrived after the first two indicators in the way the Kindle was designed and it is not present on the iPad app. I remember at first, I was always annoyed that they would just leave me with “Location 2435”. 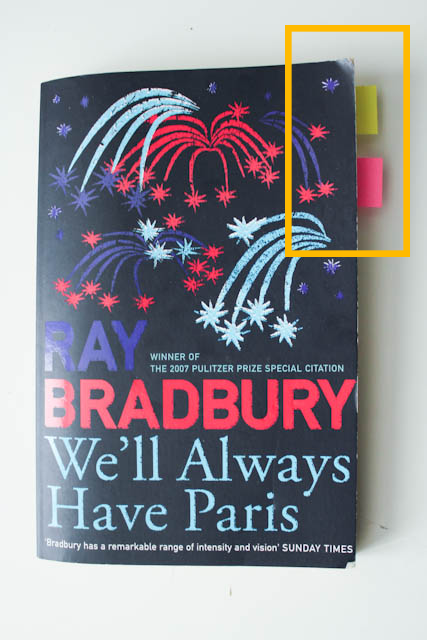 So this is what I find really poorly taken care of in most digital content and the Kindle is the only place where I have seen it implemented : measurement of information. This is the constant that is very badly done. In most cases, it is non existent, and when it’s done it uses numbers to do the job. Our mind constantly evaluates distances, volumes, speed, weight. This is how we don’t get crushed when we see a car approaching as we cross the street, our brain makes some crazy calculations to estimate the car’s speed as we walk and it seems that we just know we can cross safely. And same for a lot of things, we just know where to place our hand to catch a ball, but these are actually non trivial actions. Imagine one second, that for all those things happening in real life, for example instead of a seeing the car becoming bigger and bigger really quickly, we would see an object with written on it “100km/h at location 2435”, what would you do? Cross or not cross? The brain is dedicated for more than 50% to visual processing, before being analytical it is visual. So give it visual clues first. 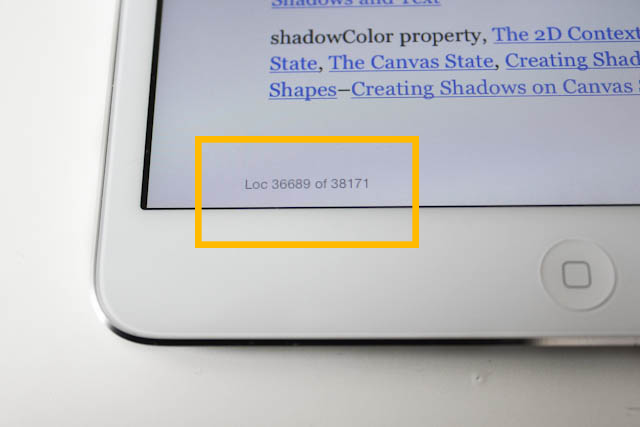 If we come back to the reading problem, a reason why the book is still a good medium is because we can just know from a grip how much there is to read, and you know as you read where you are without needing any weird “Location 2435”, you just feel it in your hands. 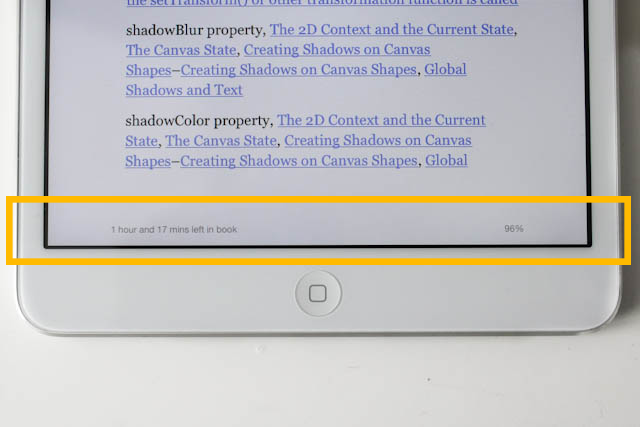 I suspect no research paper has actually been published to study why the book works so well, it would explain why the design of digital content remains status quo. But this is one of the many reasons why the book works so well as a medium : you can process it. However, with the digital medium, all the known limits that the mind is used to are completely wiped out. In the digital world, you’re in a floating dimension with absolutely nothing your brain can take a grip on to evaluate, where it is, what the distance is, what there is to actually process. Unless you spell it out for the brain to know, there is no way for it to just guess. Never forget that in the digital dimension, you build the universe, you create the world, you construct what the brain is going to interpret for its automatic calculations. So give it substance. Currently we live in a digital world of infinite scrolling, it is completely infinite, I can’t process it. Honestly, I can’t. I skim, but I don’t process it. Shame, because it is some people job to work hard to create documentation, in depth articles, and well researched content, but I can’t process it, there is just nothing I can take a grip on. So today, it is my personal statement that content editors and developers should take care of digital content and make it processable : make information measurable. This concept of measuring information extends absolutely everywhere on the web. From the e-commerce website to the news website, everybody needs to measure the information they’re processing. For example on an e-commerce website, please let me know what items I have already visited, please let me pick and save the items I like, please also let me know how much left I have not seen, and tell me where I am right now in the global flow of items. On a news website, please let me know how long the article is before I read it, and while I read it, please let me know how much there is left to read, oh please let me also pick and save my favourite parts. Some of these features are already more or less there, but there is a LOT yet to do. There should be a standard for what makes information processable. I want to call this standard “Infometer”. The Infometer would refer to what we can use on a content to process the information and measure it. It could take several forms : a progress bar, a bunch of squares, a percentage, a scrollbar, but for every content there should be some kind of Infometer. For example, photos should have a progress element (their infometer) showing which picture you’ve seen, where you are, what there is to process. This measurement tool could be made available by the editors, or it could very well be the user’s tool, it doesn’t really matter as long as it exists. Right now, the web might be used to consume information more than to process it, hence the overload of ads and useless content. But let’s not act like there will be no future. Kids will eventually learn their courses on the web, and we will learn in depth content from the web. The web is the perfect medium to process information, we just need to make the information processable. So to make my point, I actually have a concrete implementation of this concept so you see what I mean. 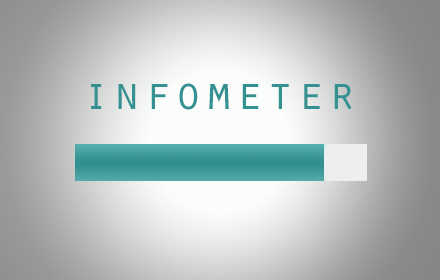 It’s a Chrome extension that I named like the concept it is supposed to illustrate : Infometer. Given a very long page, for example a documentation page like this one, when activated, Infometer will act as a set of two bookmarks inside the page that delimit the content you want to process. As you scroll, you will see the progress bar at the top of the page showing you your progress. The progress bar shows you where you are, and how far you need to go. As you have processed by now, it is indeed a down right implementation of my divide and conquer reading technique. It really helps me process in depth content that authors so kindly made available online. It also helps me read the analysis of journalists on current events, with it I can measure the article and ignore the length of top content and bottom content usually cluttered with comments and ads. I read with more focus, I read faster. I hope I have made my point with this Infometer concept, I think it will make truly sense once we see more and more well edited, in depth content online. Until then, take a grip and hang in there !